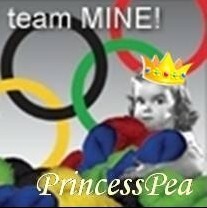 I’m part of the Pomatomus Posse, making socks and gloves for Team Mine in the forthcoming 2008 Ravelympics. 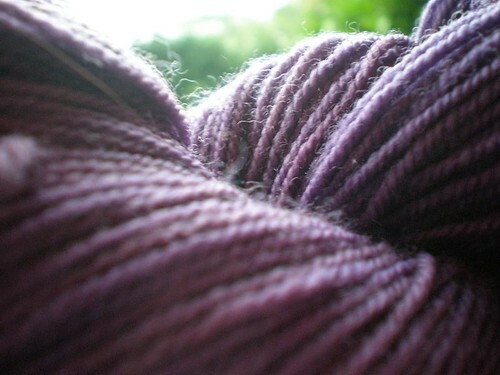 If you’re not a knitter, then that sentence, and indeed the rest of this post, is going to seem pretty strange. Sorry. The Ravelympics is an event timed to start and end with the lighting and extinguising of the Olympic flame in Beijing. Knitters and crocheters (the Ravthletes) have seventeen days to make a project, which has to be challenging for them. My event is the Sock Put. 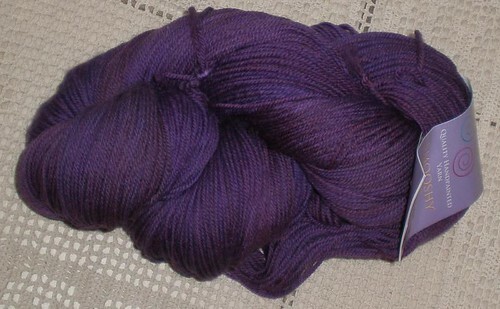 Anyway, I’ve been trying to choose yarn for the socks I’m going to make. 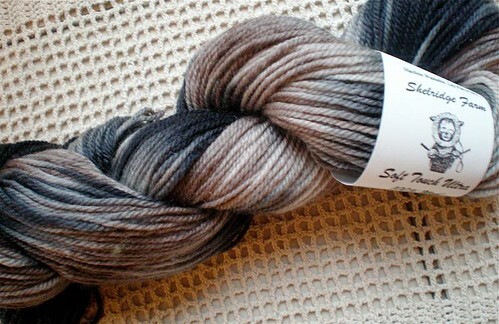 I ordered some Sheldrige Farm Ultra, which arrived a few days ago. 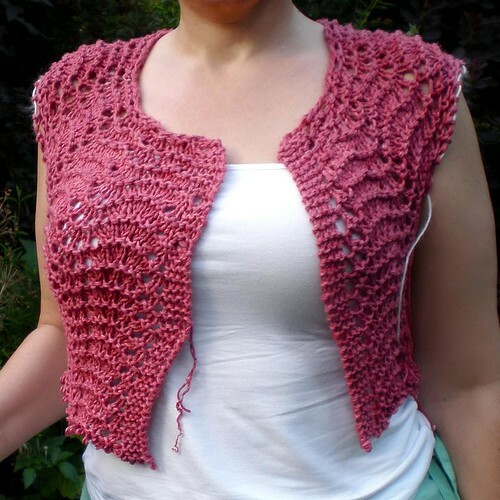 It is lovely, but I don’t think it will work for the Pomatomas pattern. The problem is that there is such a contrast between colours and shades in the yarn that I think it will overwhelm the lace stitch. I’m of the view that mulitcoloured yarns and lace patterns should be used together with caution, and that, generally speaking, the lace stitches that work best are one that have a horizontal pattern. 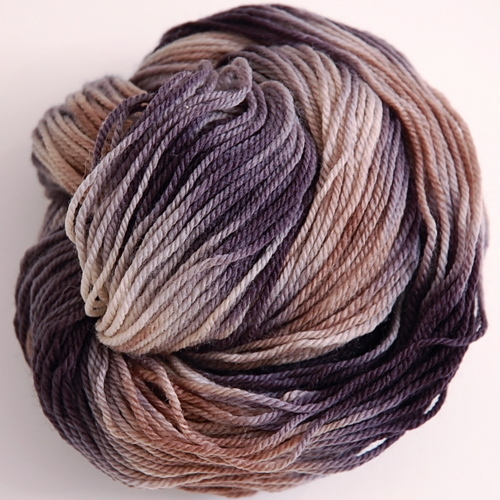 Pomatomus has more of a vertical lace pattern. 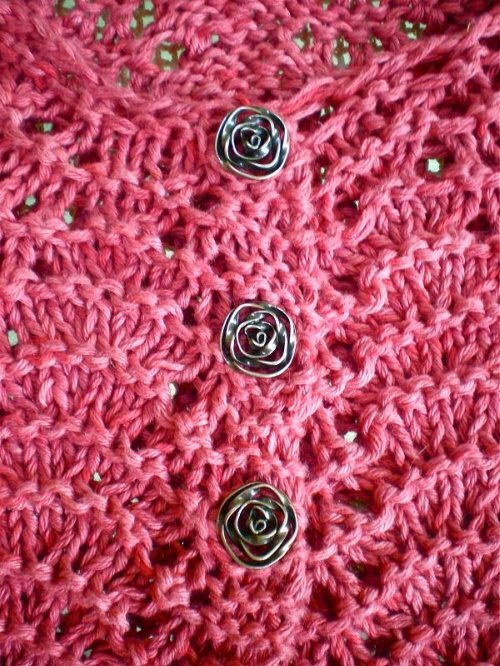 I love these rose buttons, they look a little like loosely-wound balls of yarn, and I think they go really well with the knit pattern on this cardigan. 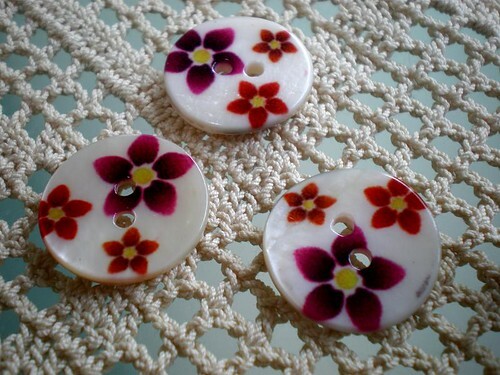 My other choice was these pretty flower-printed mother of pearl buttons. They didn’t look so good on Liesl, but will be lovely on a paler colour. And here’s how my Liesl is looking so far. Asymmetry all gone, racer back all gone, and nearly full length! We’re probably going to Copenhagen next week, and I really want to see if I can get this finished in time to take with me. Off now to knit. I just wanted to point you in the direction of a new addition to my sidebar – the bit called ‘Go Look At’, which is just below the pictures of my knitting projects. I’ve been wanting to do this for a while now, and just worked out how to do the coding this week. This is where I am posting links to other people’s sites when they have finished a fantastic project, written a great post or shared a useful technique. It will change pretty regularly, so keep an eye on it for good stuff. 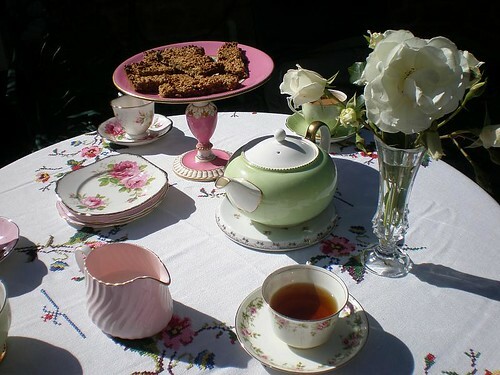 …consists of tea, cakes, sunshine and the company of friends. Notice anything odd about my Liesl cardigan? Anything a bit lopsided, uneven perhaps? Of course you do, it’s pretty obvious isn’t it! Well, except to me, apparently. I’ve tried this on several times, checked that it fitted me nicely across the chest (it does), pinned the front together to see if I liked the buttonhole placement (I do).